Easy and Beginner Piano * Flexible Ensemble Arrangements . Christmas Fun page suggests ways of sharing these online carols with family or friends. The sheet music for these pieces is available for purchase, in PDF format (What's PDF?). These resources, unique to our Web site, mix the old with the new and give a fresh slant to music for the season. mix 'n' match sheet music for ensemble arrangements of familiar Christmas carols. Instrumental parts can be played as written or used as the basis for your own improvised music. 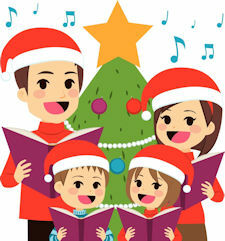 includes original seasonal songs for children to sing and play and ideas for creative activities. These resources, unique to our Web site, mix the old with the new and give a fresh slant to music for the season. carols for string quartet, instrumental duets and traditional arrangements for voice & piano. Easy, full-sounding arrangements, for voice and piano or keyboard, in the keys in which they are most commonly sung. There is also a special section for 1st year pianists. Click on a title to open the music player. 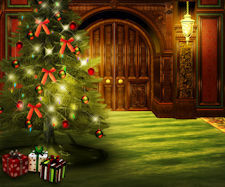 The 'Simply Carols' series, is arranged for home or classroom music-making. You can play these carols as set out in the full scores, or mix 'n' match the parts to create your own arrangements. Full-scores and parts can be transposed to any key and supplied by email. Contact us to request transposed parts or discuss any special requirements. Our original key is Bb, for a comfortable singing range. In this key, the easy recorder part avoids Eb. Recorder & Vocal parts make a good duet. This is a very old carol, already traditional in 1822, when it appeared in a collection. The version best known today is that harmonised by John Stainer, in the 19th century. This arrangement keeps fairly close to familiar harmonies but attempts to give the carol a more folk-like atmosphere. The 'Simply Carols' series, is arranged for home or classroom music-making. You can play this carol as set out in the full score, or mix 'n' match the parts to create your own arrangements.This carol has many verses, so it is good to vary the instrumentation, where possible. The bass parts, one simple and one more advanced, can be played by two separate players, where preferred. These are printed as separate parts (i.e. not duet format) to make it easier for beginners to follow the score. This carol has many verses, so it is good to vary the instrumentation, where possible. This score represents just one way of performing this carol. You can mix 'n' match the parts to make your own arrangement. This additional part, with its mainly step-wise movement, is suitable for beginners on a wide range of instruments. It is presented here without the melody, in order to make it easy for beginners to follow the score. Part A1, with its mainly step-wise movement, is suitable for beginners on a wide range of instruments. It can be played as a duet with the melody, as here. PRS022/ Five Carols for Bass Instruments. Four part arrangements for string quartet or other ensembles. You can mix 'n match some carols with the 'Simply Carols' series. A traditional arrangement with full 4-part harmony. Easy, full-sounding arrangements, for voice and piano or keyboard, in the keys in which they are most commonly sung. Pieces in the "Carol Starters for Piano" series are arrangements suitable for 1st-year pianists. Where there are two versions, they are numbered in order of difficulty. This little piece is an ideal opportunity to give less coordinated youngsters a simple, but effective, instrumental solo. It requires an assortment of bird calls, pan-pipes and warblers. These can be found in most music shops and are a useful addition to the music cupboard, for special effects. Of course, more able children can improvise solos on flutes, clarinets, etc. Warblers should play in the piano's decorated bars, while the voice is silent. Cuckoos and drier sounds, like the Quail, can be played quite effectively during sung sections. Preferably, there should be a conductor, in addition to the accompanist. Warning - this play-song could go on all night! We are delighted to present these original children's carols by poet & author, Tim Hopkins. Further Christian music from this songwriter will be found in the Sacred Music section. A setting of powerfully simple lyrics by Martin Luther. An arrangement for voice and strings. A song inspired by walks in the Scottish Highlands. It reflects on the pl ight of those who were affected by 'The Clearances' and wonders at the Christ-Child's identification with poor and weak.